In the age of speedy technological innovations, thinking up names for totally new things that are not created by Mother Nature but by this innovative ape we call Man has been an exciting process. The “telephone”, the “telegram” and the “television” are some easy cases in point. Some creations are tied so closely to the maker that the brand and the product become synonymous – at least in certain contexts. I remember thinking that Colgate and toothpaste were the same thing. And until today, I am still not sure if a cup of Ovaltine is a chocolate drink or something essentially different from the generic item. For that matter, Nestum is Nestum, not any old cup of boiled crushed grain. Impressive cases of effective marketing, no doubt. With iPhone and iPad, the producer, Apple, actually aims to make its product unique, a species unto itself. An iPhone is not a smartphone; it’s an iPhone, full stop. Same thing with the iPad – it’s not a simple “tablet”, for god’s sake. What about the series of earlier modern inventions that are still as ubiquitous as the computer in its myriad forms, like our means of public transport? How were they named? We know that the word “car” came from the term “horse carriage”, and it was because the combustion engine replaced the horse that once pulled the carriage that we came to classify the motor under the hood according to its “horse-power”. We also know that self-propulsion – the apparent automation – of the motorcar was what led the Germans and Finns, among others, to call it “auto”, and that it was the stunning mobility of these machines that induced the Swedes to call the car “bil”. This is reminiscent of the Chinese calling the bicycle “zixingche” (in Mandarin, at least, and similarly in Cantonese), the “self-propelled vehicle”. We Penang Hokkiens simply call the bicycle “khatak chiah” – “foot-pedalled vehicle”. The English terms “bicycle”, “railway” and “ocean liner” have etymologies that are all too straightforward and obvious, and need not be discussed here. But what about the everyday bus? Where did that word come from? According to Merriam-Webster, “bus” is simply short for “omnibus”, which is Latin meaning “for everyone”. It all began in Nantes in the early 1820s. The French were therefore the first to use “horse-drawn vehicles that transported people along the main thoroughfares of Paris … along predetermined routes for a small fixed fare”. The stress on “everyone” was necessary in order to distinguish this service from stagecoaches, which had to be pre-booked. Where buses were concerned, anyone could simply get on board them spontaneously, as it were. No planning required. Soon after that, omnibuses were in operation in London and in New York, and “omnibus” was shortened by the English speakers to “bus”. The first steam-driven buses appeared in Britain in the 1830s, but strict laws soon eliminated mechanically propelled transport off the roads. 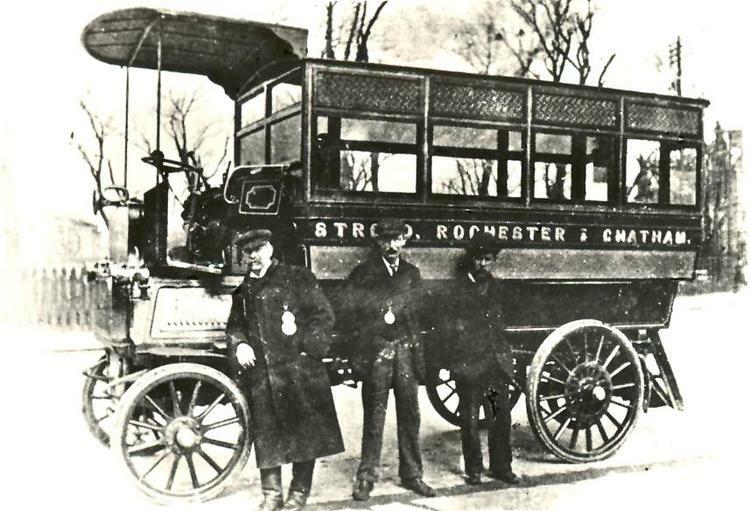 Only after the law was changed in 1896 did combustion-engine driven buses – with horsepower under its hood – appear on the streets of England and Scotland. What’s equally interesting in this context is that the idea for such a form of public transportation was first conceived by Blaise Pascal (1623-1662) 160 years earlier, in 1661. A child prodigy, Blaise received his education from his tax-collector father, and went on to excel as a mathematician, physicist, inventor, writer and Catholic theologian. A year before he died at the early age of 39, he had apparently proposed for a number of coaches to “circulate along predetermined routes in Paris at regular intervals regardless of the number of people”. What about air travel? According to etymonline.com, the Ancient Greeks already had the word “aeroplanos”, meaning “wandering in the air”, from aero (air) and planos (wandering). The assumed ability was ascribed to the planets, which, unlike the stars, have motion and in this context quite correctly included the sun and the moon. Otherwise, the word “aéroplane” first appeared in 1855 in French and referred to surfaces such as shell casings of beetle wings, and was built from the Greek “aero” and the French “planer” (to soar) based on the Latin “planus” (level or flat). Only in 1873 was it used to refer to the idea of the flying machine itself, and may have been coined in English independent of the French or Greek cases. So you see, even the most ordinary and ubiquitous modern items in our consumer lives have stories to tell.